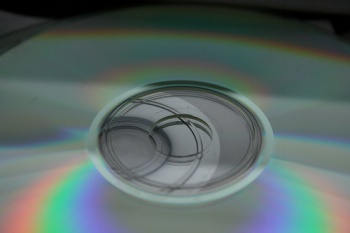 The final death knell for the CD format may be ringing as Sony closes a factory that used to produce 18 million CDs each month. The factory in Pitman, NJ will close on March 31st, putting about 300 people out of a job. Sony claimed recession woes were a part of the reason for the closing, but the announcement also mentioned the rise of digital downloads from iTunes and Amazon as a major factor in shuttering the 500,000-square-foot facility. The Pitman plant stared out making vinyl albums for Columbia Records in 1961 before shifting gears to produce CDs in 1988, but audio CD sales slipped 18 percent from 2008 to 2009 while digital revenues for record companies continue to grow. In order to combat that shift, Sony will reportedly consolidate much of its manufacturing arm (Sony DADC) at its plant in Terra Haute, Indiana. One might think that DVD production would keep the plant functioning, but Sony eliminated 180 jobs by ceasing to make DVDs there last year. "In light of the current economic environment and challenges facing the physical-media industry, Sony DADC is taking additional steps to reduce cost from our supply chain network in order to remain competitive," the announcement read. CDs were once the catch-all format for music and games, and Sony made a mint by using a CD drive with the original PlayStation. But as the PS2 and all subsequent consoles moved to DVD (or Blu-Ray) it was inevitable that CD factories either changeover production to the better formats or risk closure. Years from now, people will be scraping through the rubble of 21st century civilization and find a treasure trove of shiny plastics disks. Some future archaeologists will make the leap in logic and declare that these disks might have been used to store different forms of media. Educated people might understand that these primitive disks held just enough information to power our game machines and movie boxes, but not many will realize that the disks began in the 1980s only storing 72 minutes worth of music. "Isn't it great," the future hipster will remark as he places a disk into his retro-DIY Discman. "The only way to listen to music is to carry these huge mechanical readers around with you and have the music shot into your ears with these foam muffs. Screw Skynet. Listening to an aural implant connected to the 'Net is for chumps."